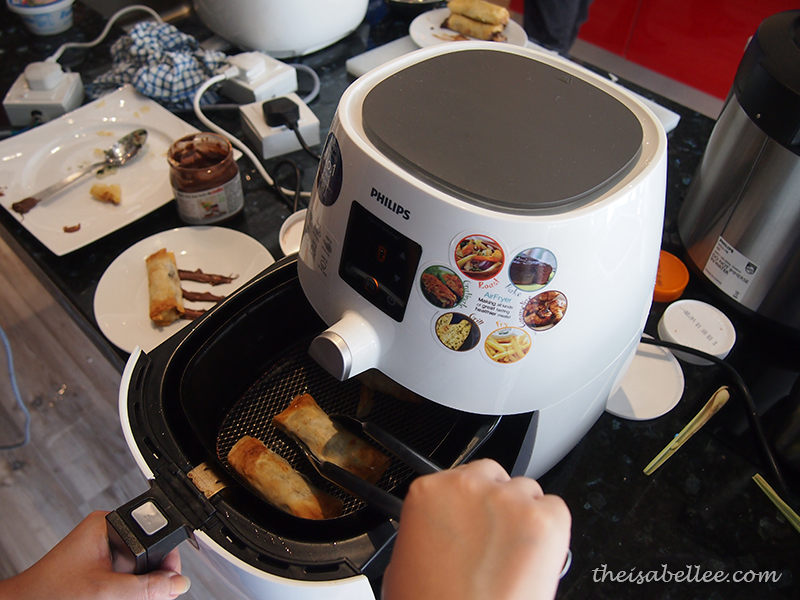 Part 3 of my masak-masak with Philips is.. dessert! 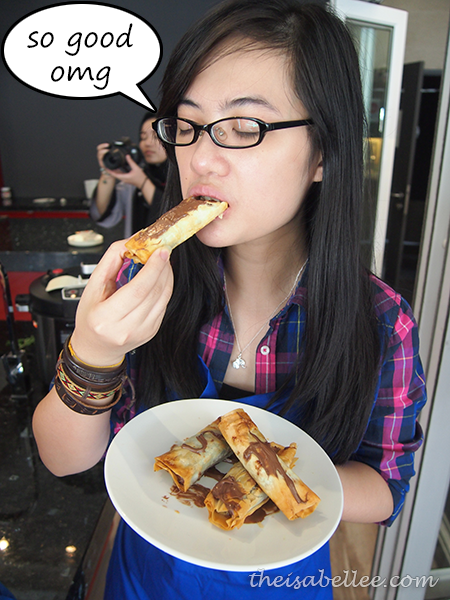 But first you gotta get this filo pastry. 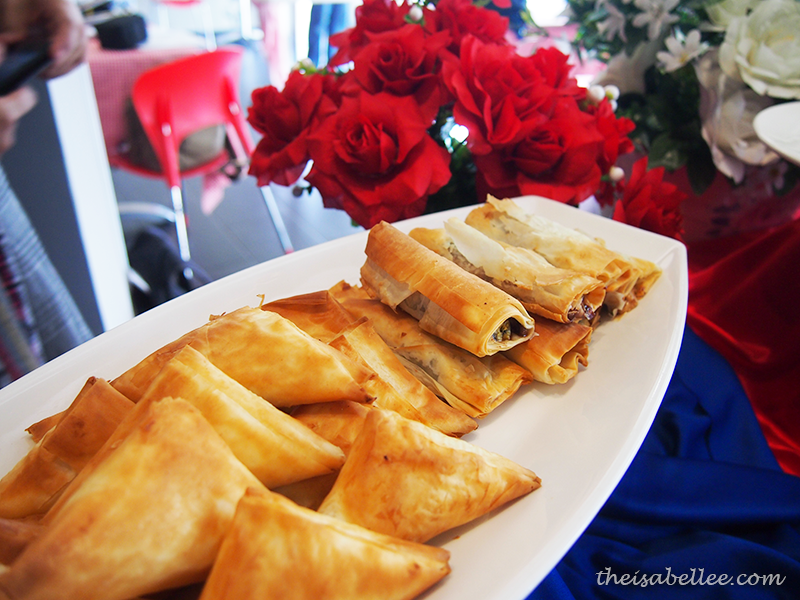 Make sure its refrigerated and kept moist with a cloth once you take it out or it'll be hard to separate. Melt some butter too. 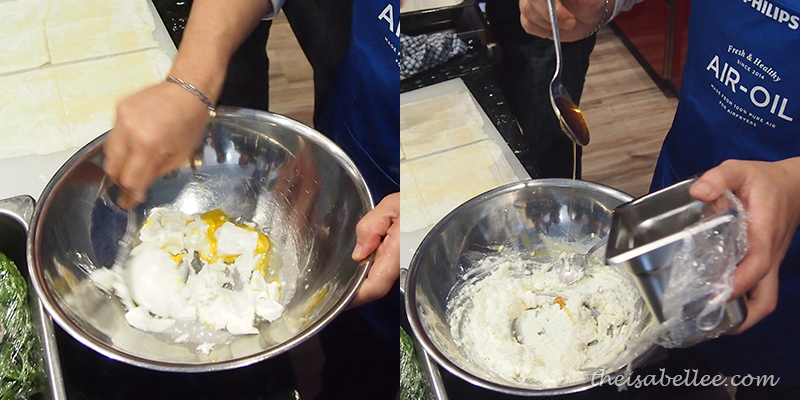 For this filling, mix 500g of ricotta or mizithra cheese with 2 eggs. Add in some honey or grated lemon if you like. 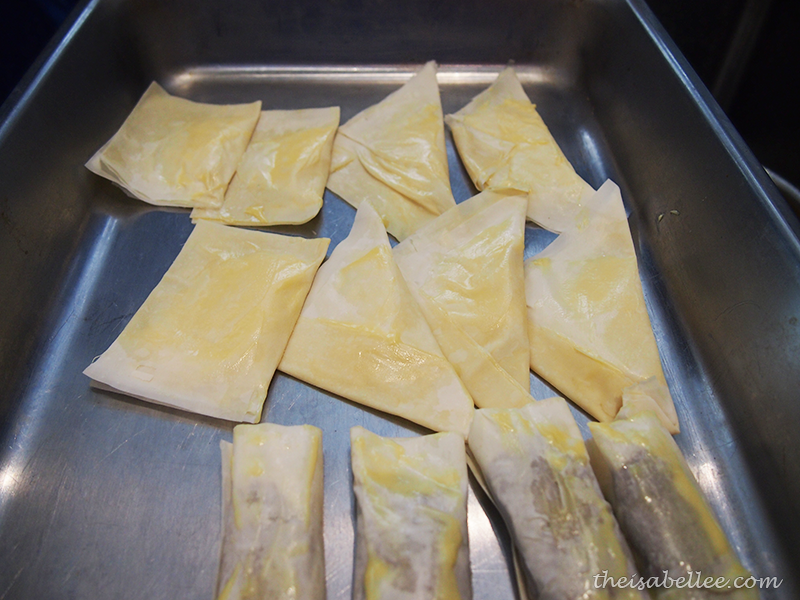 Place a tablespoon of cheese in the middle and swipe some melted butter on the edges. 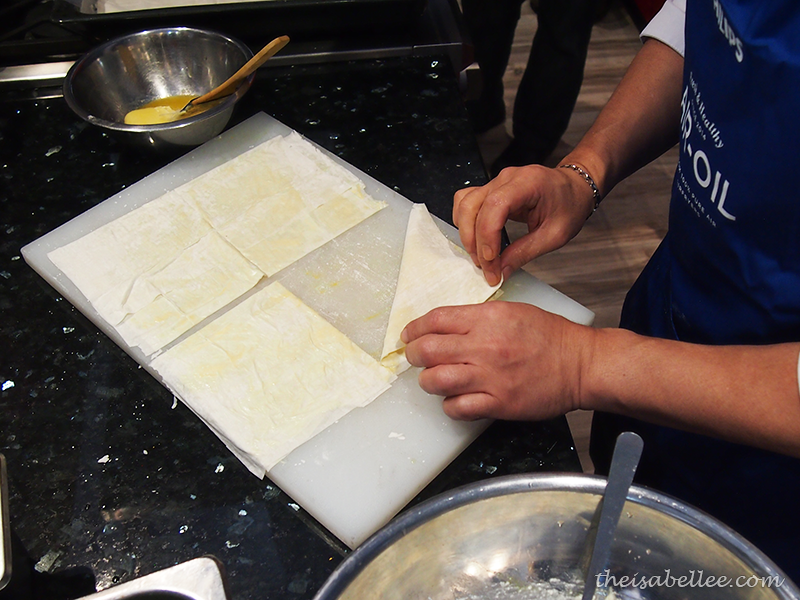 Fold over to form a triangle. 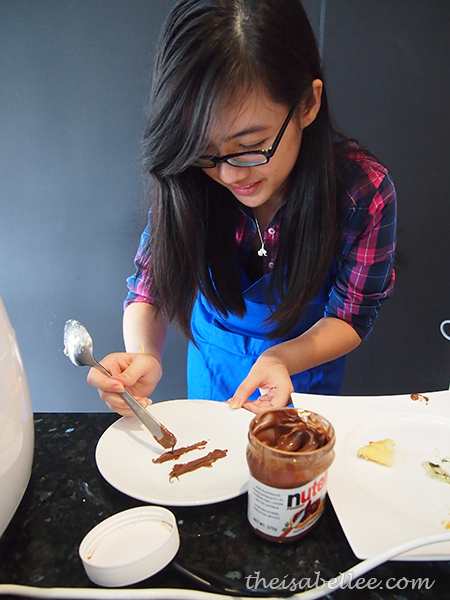 You can also boil some sugar and cinnamon to drizzle on the finish product. Sesame works too. This one is really simple. 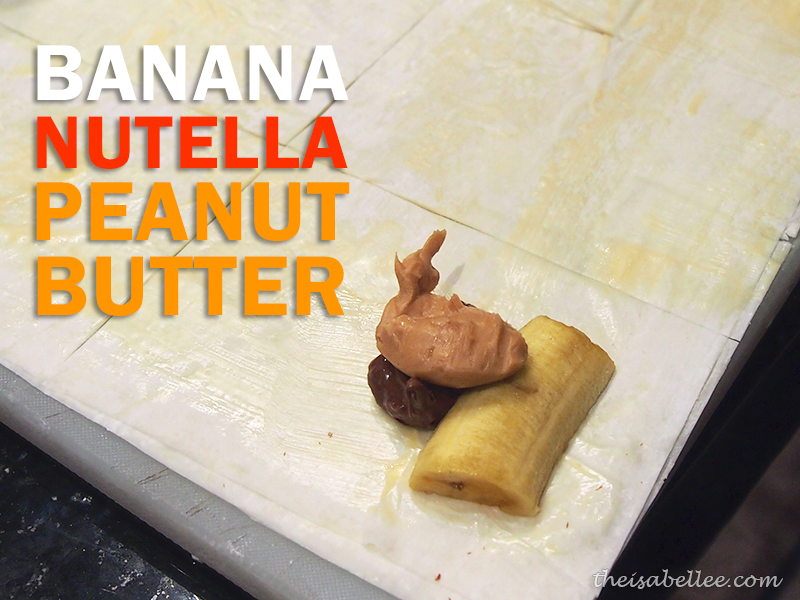 Banana + Nutella + peanut butter. 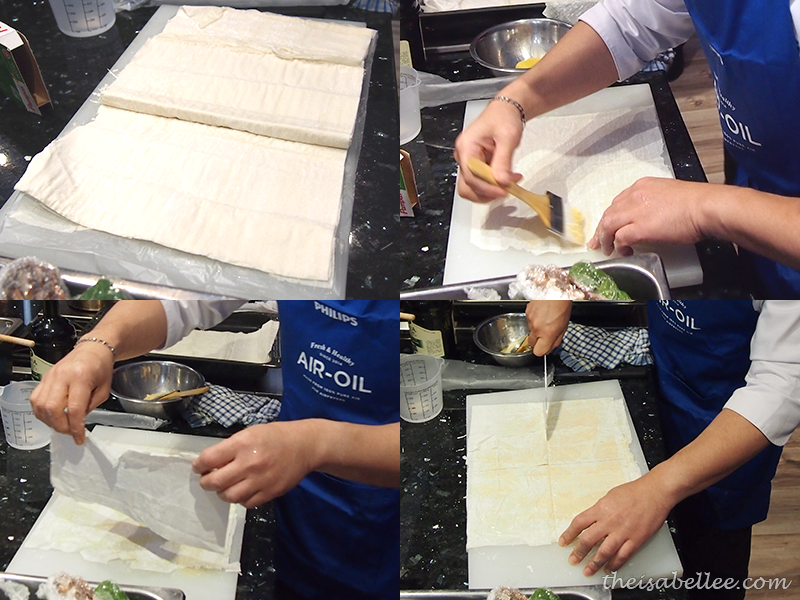 Anyhow rollll~~ Even your children can do this one but you gotta prepare the filo pastry because that is tricky. Ta-da! Brush with some melted butter once done. 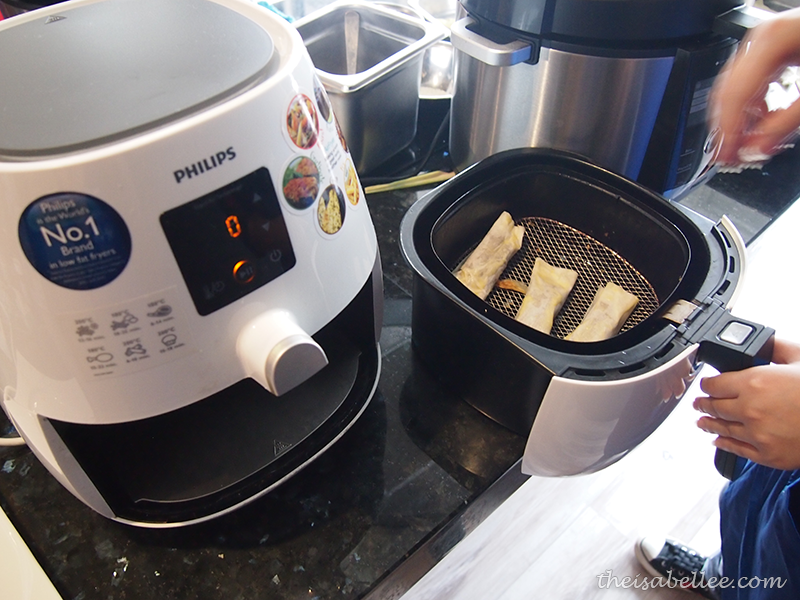 Preheat Philips Air Fryer at 180°C for 5 minutes. 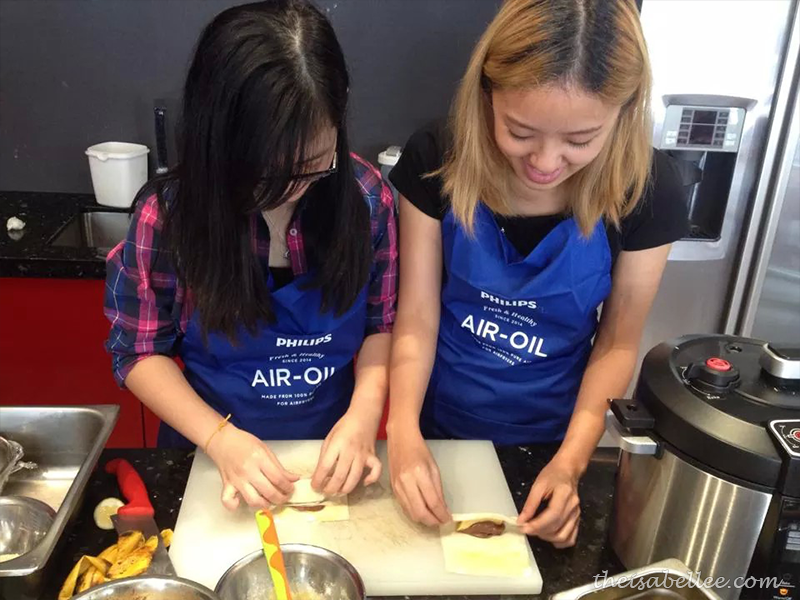 Arrange them in the frying basket and air-fry for 5 – 8 minutes or until golden brown. And it was gooooood. 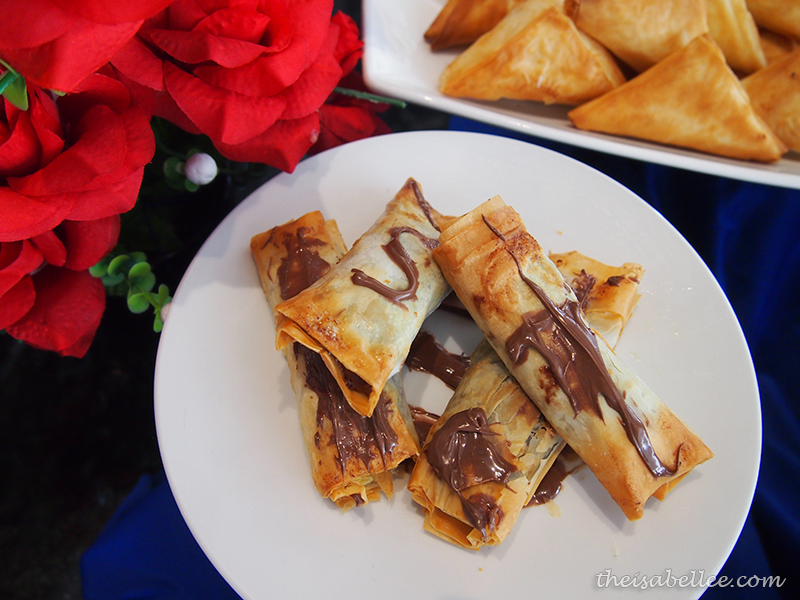 The air fryer enhanced the sweetness of the banana and who doesn't love Nutella? I love how high-tech Philip's products. wow nice food. My favorite recipe. 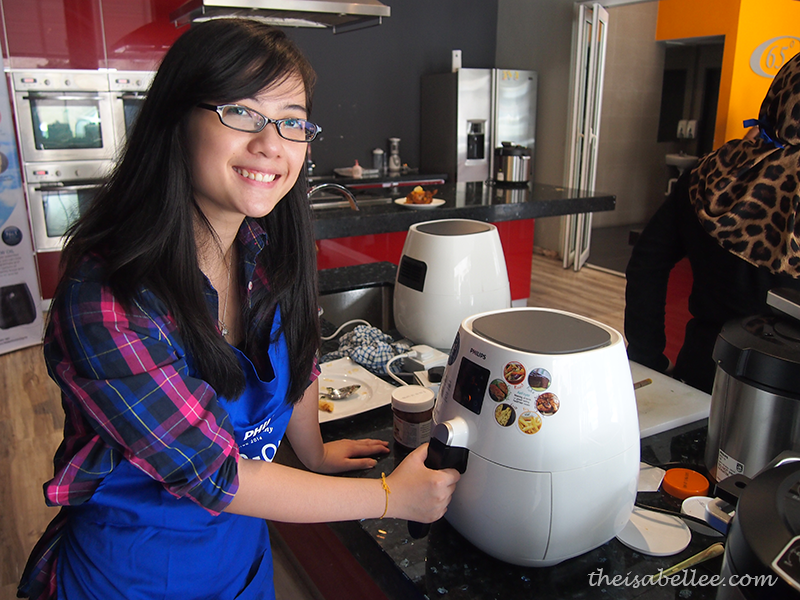 With one air fryer, I can easily and quickly cook every dish I like. Thank's for sharing with us. YUMMY! I can't wait to try it rightnow. LOVE all your recipe! Philip's products is loveing products we are useing last six month.